Van Hire - Search & compare to find the cheapest price! vanrental.co.uk is one of the UK's largest independent van hire price comparison websites. Our unique search engine allows you to compare prices and choose vans and minibuses from a range of rental suppliers in your local area. We do not add anything onto the quotes we display. We have more than 1500 van rental branches in over 550 locations within the UK and Ireland. Our search system will find the van and minibus hire branches that are local to you. You can then choose to visit those suppliers' websites. We don't handle the bookings ourselves - all bookings are made directly with our suppliers through their own websites or by telephone. Our goal is to save you time, letting you compare all the prices in one place! Our unique van hire quote system even allows you to specify one-way van hire between dozens of UK locations. 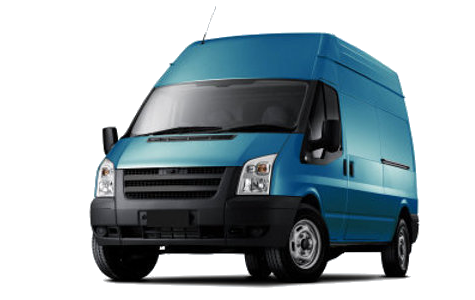 At vanrental.co.uk, we have years of experience of renting and owning vans and are experts on everything van-related. We have put together this site to allow you to find all the information you need to hire a van in one place. The van rental companies featured on vanrental.co.uk offer a wide choice of vans. These typically include small, medium (SWB), long (LWB) and extra-long wheelbase (XLWB) vehicles, as well as luton vans. Some locations also offer 7.5 tonne trucks. Europcar is the number one rental company in the UK and Europe. It has over 250 rental stations in the UK alone, situated in all major towns, cities and airports. Europcar branches offer a wide range of commercial vehicles from box vans and Luton vans with tail lifts, to minibuses. Hertz is a name that's associated with car rental all over the world. The company also offers a comprehensive van hire service in the UK with compact, small, medium and long wheelbase vans and luton vans available to rent. Hertz also cater to the needs of students, offering options for younger drivers to hire vans. Thrifty is a global car and van rental brand with a presence in more than 70 countries and more than 1,000 branches worldwide. In the UK, there are more than 80 Thrifty car and van hire branches, offering a wide range of vans and other vehicles for hire. Argus Car Hire is one of Europe's leading car hire reservation businesses. With access to more than 550 hire companies in 25,000 locations around the world, it is able to meet most car, van and minibus rental requirements at highly competitive prices. We have managed to negotiate an exclusive 10% discount for Sixt UK Van Hire for vanrental.co.uk visitors. Originally founded in 1912, Sixt has over 150 rental locations in the UK, providing a great selection of hire vans, minibuses and cars. Sixt offer very competitive prices and allow drivers aged 21 upwards to hire most vehicles. They are present at most of the major international UK airports. Enterprise Rent-A-Car is one of the biggest hire companies in the UK, with more than 400 locations across the UK. Branches normally offer pickup and drop off services. A choice of vans including, small, medium, large, extra large and luton with or without tail lift are available for daily, weekly or monthly rental. Avis is one of the world's best-known car and van rental firms. The company now offers a range of vans for hire at many of its UK locations including most sizes of panel van plus luton vans, as well as some smaller minibuses. Budget operates around 3,350 hire locations in over 120 countries. Founded in 1958, it's always been known for good value and has been renting vans in the UK since 1973. Questor Insurance specialises in van and minibus hire excess insurance. Cover is available for vans and lorries up to 7.5t and minibuses with up to 15 seats. Standard cover includes tyres, windscreen, under body and loss of use. Cover can be extended to include European van and minibus hire. See the website for more information.